Tim Sherwood is concerned Joe Gomez won’t be given the opportunities he deserves at centre-back for Liverpool. The Reds defender has been subject to high praise since his standout performance in England’s 0-0 draw with Brazil at Wembley. Gomez starred as part of Gareth Southgate’s back three, following up his impressive senior debut in the draw against Germany. With Liverpool’s defensive frailties continuing to prove costly, many fans are keen to see Gomez utilised alongside Joel Matip. Whilst that is a view Sherwood seemingly agrees with, it is one he fears may not be put into practice. “If you asked me who the best centre-half is at Liverpool at the moment, I’d tell you Joe Gomez,” Sherwood told Sky Sports’ The Debate. Gomez’s extended run at right-back for Liverpool appeared to help him thrive on the right of England’s defensive trio. It allowed him the same freedom to press opponents in the channels, as well as giving him valuable experience breaking up attacking moves in a compact central area. 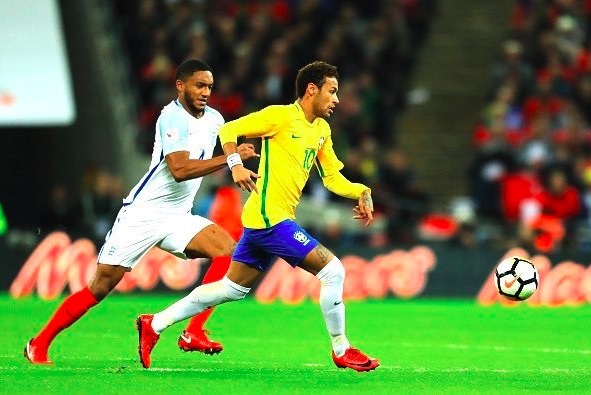 The former Charlton man’s solid displays throughout the season serve as support for the idea his dominant performance against Neymar was by no means a fluke. It’s time for Jurgen Klopp to start overseeing his transition.